Stephen Bodi's Favorite MM Images. If you send a friend request, drop me a note introducing yourself, or telling me how you found me, or leave a tag to that effect. I don't add random people to my friends for the sake of adding friends etc... Images on this profile are copyrighted and cannot be used without permission. The stuff on my MM page is just a fraction of the kind of work I do, so please check out my website. 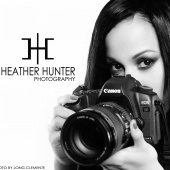 I am a long island based photographer but I work in a variety of locations all over the NY metro area. I do location work and studio work. I can improvise studio space almost anywhere I can plug in lighting equipment . I network with a lot of different people whom I am happy to recommend. Message me for details. Worked with Stephen Bodi? Share your experience and become verified! Producer, Videogrpapher/Camera Operator, Production Still Photographer, weapons handler, and Stunts. Hey, your work is very cool! I'm spending a few days in NYC next month, April 3rd-5th & 11-12th. I'd love to work with you if you're in need of a Brazilian model!